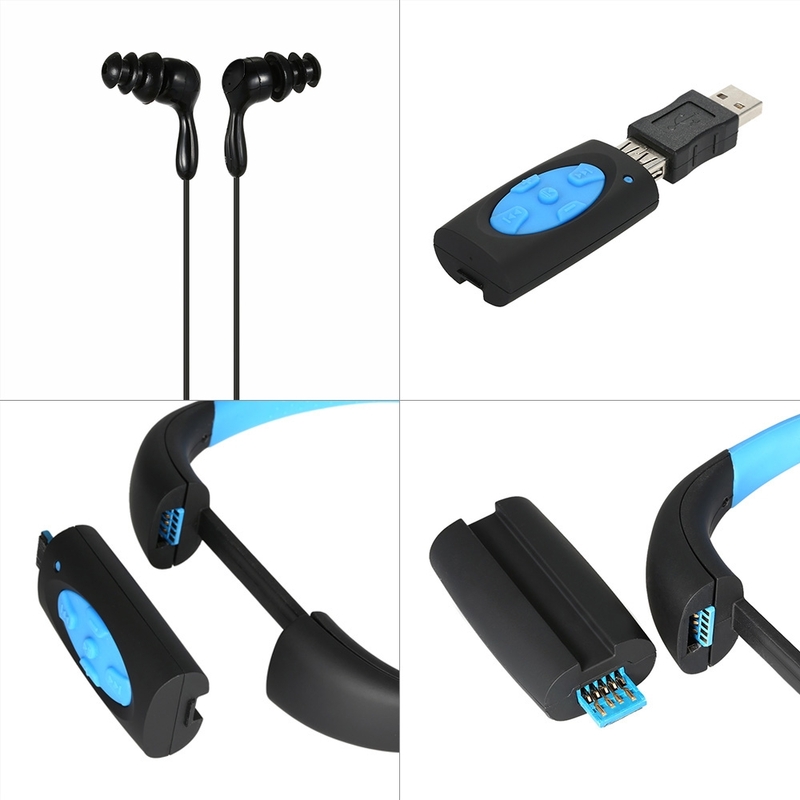 These are in-ear headphones with FM radio and 8GB flash memory to store all of your favorite Mp3 files. It's battery lasts for up to 12 hours of music. 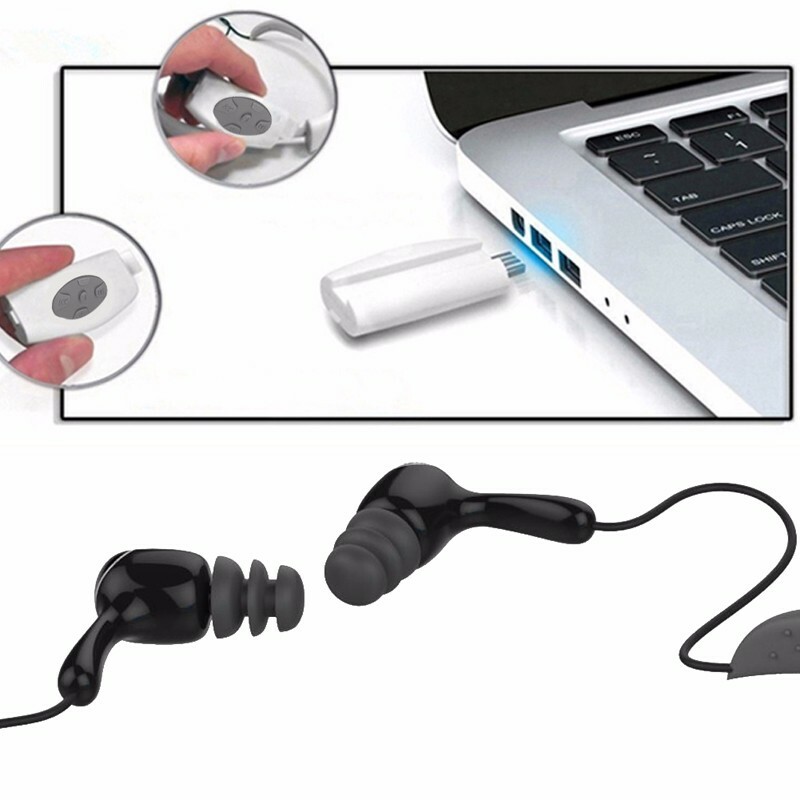 It has a 2.0 USB interface that you can use to upload all of your favorite files directly from your PC or Mac. It's waterproof and can be used up to 3 meters underwater (up to 1 hour of continuous immersion). It can bear a 10-bar pressure from any direction. 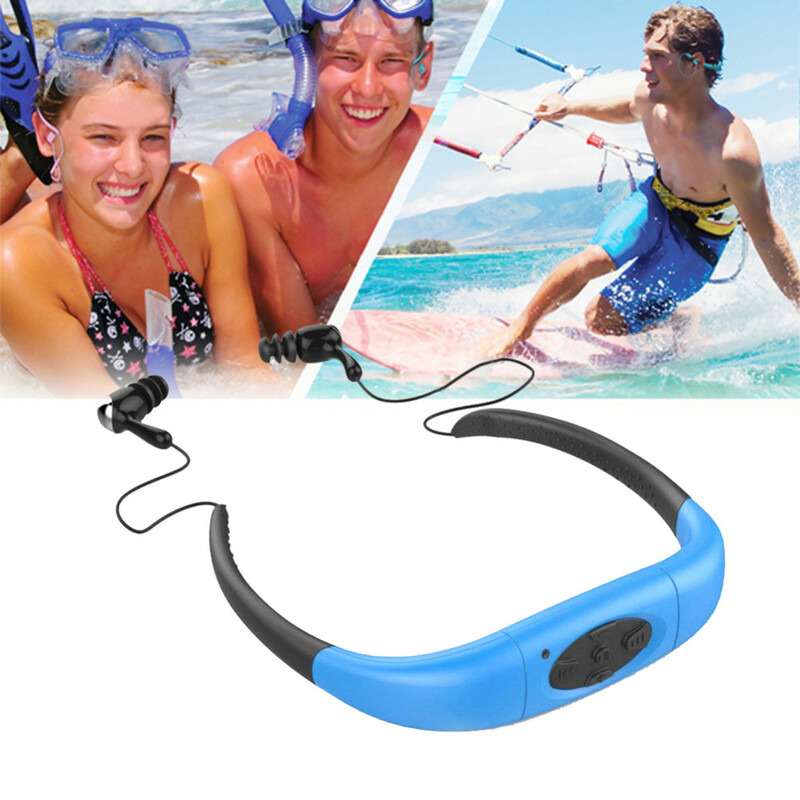 It is ideal for swimming pools; beach; spa; sports; open air sports; underwater sports.